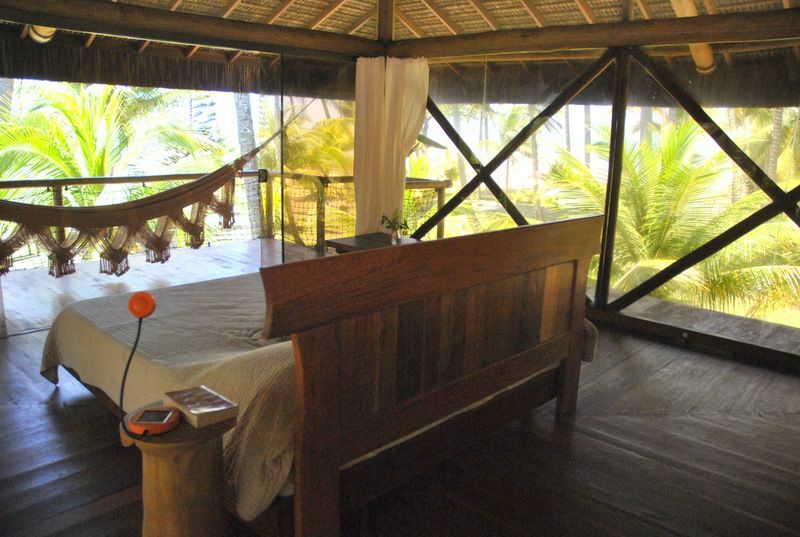 Detox Fall Retreat … a natural spa in Bahia. The Place …. PARAISO VERDE. 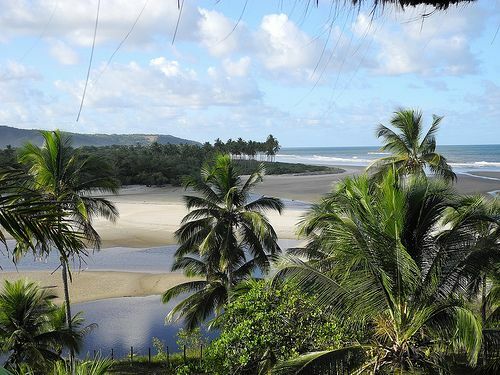 Set amid 60 hectares of Atlantic Forest, one of the most beautiful beaches of Bahia, Green Paradise is a place to connect with nature. Here, the breeze is constant, the sound of the waves are soothing, and the sweet smell of the air is intoxicating. The house is built with simplicity and elegance, using local materials and with their own source of solar energy and water. PARAISO VERDE can accommodate up to 15 people. There are 3 bungalows with a king-size bed, 2 bedrooms on the ground floor (one with a queen bed and the other with 3 single beds), plus a charming fisherman’s house that sleeps 4 people . There are 30 km of beach to run, a river to practice Watsu and dance, waves for surfing and dolphins and turtles to play. Indulge in a massage, yoga, or simply relax in a hammock in the shade of a coconut tree. Enjoy paradise! The power of food as the catalyst for a detox …. The food during the retreat will be a fusion of raw food by Manuela Scalini with exotic fruits of Bahian summer and local organic produce from the garden, thus facilitating a smooth detox and better digestion. It Includes lots of green juices, superfood creams, raw granola, milk and pates of sprouted seeds, soups and elixirs. At lunch, a beautiful buffet with the best of raw food. The raw food diet is designed as a large part of a detox program to energize, recharge, and rid the body of any slowness and weight and to bring more clarity to the mind. In this food, nothing is heated above the critical temperature of 115 degrees, since studies confirm that above this temperature, most of the enzymes are lost. Enzymes are essential to the functioning of every cell and every activity of all our organs. If we eat foods rich in enzymes, we give our body everything it needs for optimal functioning, thus gaining more energy and vitality, since we are not overloading our bodies with foods hard to digest, as is the case for all processed and prepared foods. It is also the diet of organic natural beauty, since throughout the high amount of enzymes and vitamins, do get an internal facil. This works in perfect synergy for the week of Carnival Detox, with the nutrition coach Francesca Giessmann, yoga practices, and outdoor activities … to balance, relax and heal. The vision of Raw Food fusion by Manuela Scalini …. not linked to any rigid doctrine, international raw food chef Manuela Scalini wove the best of integrative medicine, combining detoxifying fruits and vegetables, superfoods, the creativity of gourmet raw food, and the healing power of whole foods in a delicious six-day experience of the highest vibration, energy, and holistic wellness. 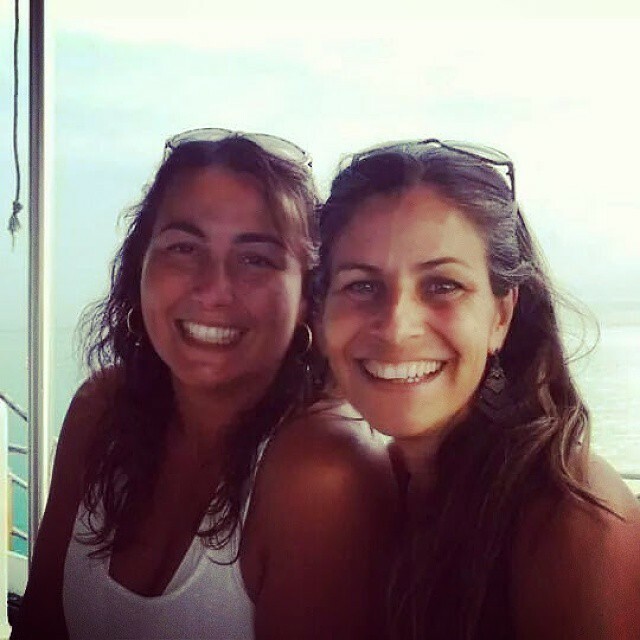 Manuela lived 20 years in California and returns to Brazil introducing the fusion of raw food cuisine with wholistic foods. A chef and nutrition educator who graduated from the reknowed Living Light Culinary Arts Institute, she worked as a private chef in San Francisco, Bali, and the Caribbean and now travels the world offering classes, detox retreats and as raw food consultant for restaurants and spas. She currently lives in Barbados, where she offers Raw Food Detox & Yoga retreats since 2011. 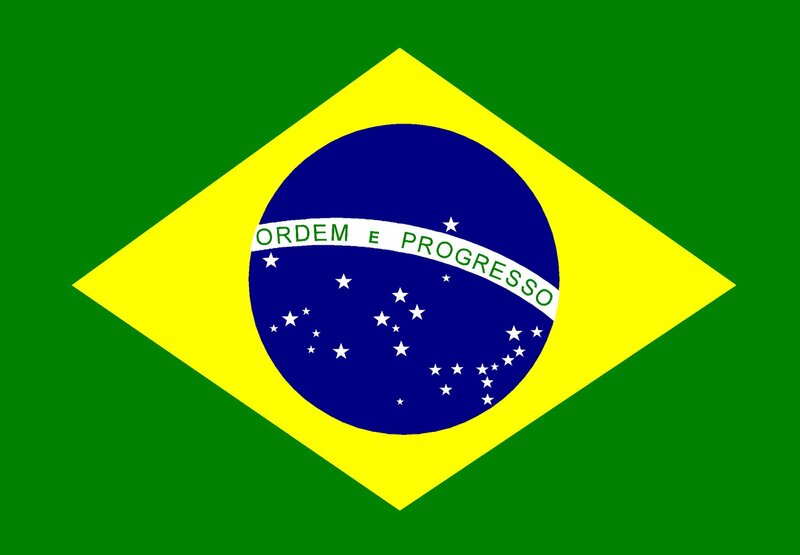 Francesca Gadaleta Giessmann was born in Italy,lived in Brazil and married a German. Today she lives in California and is dedicated to the study, application and teaching of a healthier way of life. But to get to this stage, the Health Coach, who is a graduate of the Institute of Integrative Nutrition and studied with authorities as Dr. Deepak Chopra, Dr. David Katz (Yale) and Dr. Walter Villett (Harvard), has gone through several other experiments. For many years she worked the corporate world as a marketing executive in the luxury industry and dealt with a cancer which fortunately recovered. “Most people that go through a life threatening disease want to forget and get on with life. But I want to help others live their most vibrant life, “says Francesca who believes that more than dealing with symptoms we should address the causes of the ailements. Francesca will support the participants of this program with knowledge of detox and how to relieve the detox symptoms. Take this time to renew and CELEBRATE you! Price includes accommodation for a week, daily yoga class, meditation class, trekking to waterfalls and cacao farms, all raw meals by Manu Scalini and detox coaching with Francesca. Includes also transfer to the airport at a scheduled time. Does not include: ticket to Ilheus, massage, and personal expenses.